Tomorrows healthcare innovations will come from the changes being made today in healthcare management. Three things drive healthcare today and will ultimately be the predictors of the future. Data, data, data – data interoperability, data integration, data exchange, data access (providers, payers and patients),and data analysis characterize todays need and tomorrows answers. Cost containment, matching staff with patient acuity levels, defining value based on outcomes and continuous evaluation for quality indicators will become even more critical in the months and years to come. Data is driving everything these days and analysis of data is revealing some surprising facts…..like the emerging popularity of medical tourism among very large employers. The University of Maryland recently published in an ad (yes, that’s right, an ad) for kidney transplants that there is a 32% decreased wait time there for a new kidney than at most facilities that do kidney transplants. Diverse payment models – payment models for providers have always been the source of innovation and change in the management of the industry of healthcare. Payment for longer hospital stays resulted in longer hospital stays just like payment for shorter stays resulted in shorter stays. From employed physicians to independent physicians following the “eat what you treat” rule, it has become obvious that the entrepreneur physician may be on his way out. Observation stays and the two midnight rule, bundled payments (single payment to facility and provider) payment incentives based on outcome of chronic illness all contribute to new model options. The Doctor shortage – and the variety of solutions used to close the gap between the number of patients needing healthcare and the role digitization will play in delivering that care. Are robots destined to be a future caregiver? Don’t laugh…..robotics are already in laboratories and surgical suits, radiology departments and home care delivery. Allied providers (nurse practitioners) are already playing a greater role in healthcare and expected legislation will increase the scope and role of these providers. In fact, family practice physicians may ultimately be replaced by nurse practitioners who will see patients to assess and treat minor illnesses and pass along more complex cases to specialists. In Europe, where the emphasis has been on cost containment for years, the opposite has happened. FP roles have expanded as more and more emphasis and payments go to family practice providers who treat everything from depression to diabetes to infection control. While the FP training and recruiting of providers to support this model has grown in Europe….the payment models for FP providers has discouraged the growth instead of incentive-izing the growth in the US. 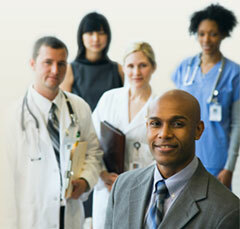 There is no end to challenges facing today’s healthcare management leaders. The good news is there has never been a shortage of strategic thinkers and planners ready to pick up the gauntlet and rise to these challenges.